High Demand Amberlea Neighbourhood. Main Floor Features Hardwood Floors & Oak Staircase. Recently Upgraded Kitchen & Breakfast Area With Quartz Counters, Backsplash, Pantry And Walkout To Private Fully Fenced Backyard With Patio. Master Bedroom W/ 5 Piece En Suite & Spacious Walk-In Closet. Professionally Finished Basement With Pot Lights Throughout, Kitchen & Bedroom. 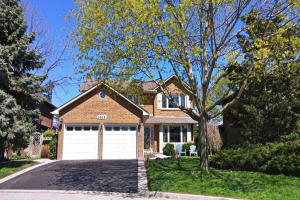 Perfect Location Steps To Schools, Parks, Shopping And Mins To Hwy 401! Stove, Fridge, Dishwasher, Washer & Dryer. Elfs, 2 Gdos, Alarm Equipment, Prof Fin Backyard Patio (2018) Quartz Counters (2018), Ac (2018), Furnace (2018). Hot Water Tank Rental, Exclude: Drapes & Rods, & Bathroom Mirrors, Basement Freezer.